Can I change how and when assignments are shown to my students? If you'd like to leave your assignment in a draft state or just don't want students to view all the assignments yet you can change the status of the assignment. On the left hand side find the status box. Click on on the Edit button in the sidebar. 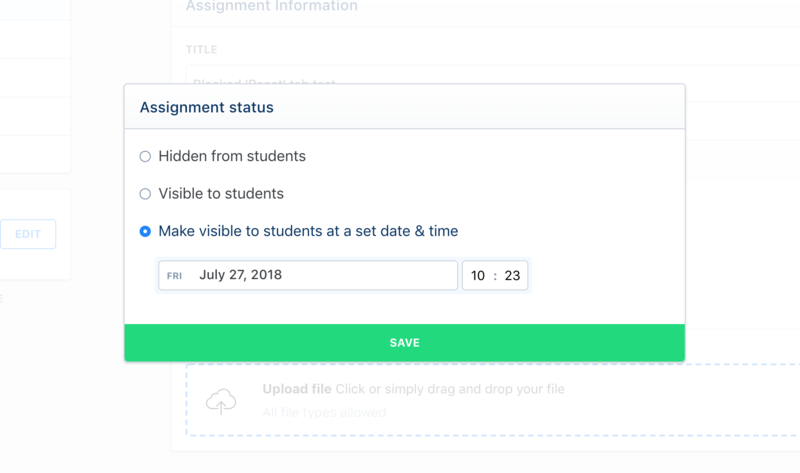 You now have the option to set the status of your assignment to hidden from students, visible to students or schedule it to publish on a given time & date.